Lalizas ISO Liferafts can used on recreational boats and have been tested and certified according to ISO 9650-1 testing standard. This testing standard has been adopted by the most European Countries. 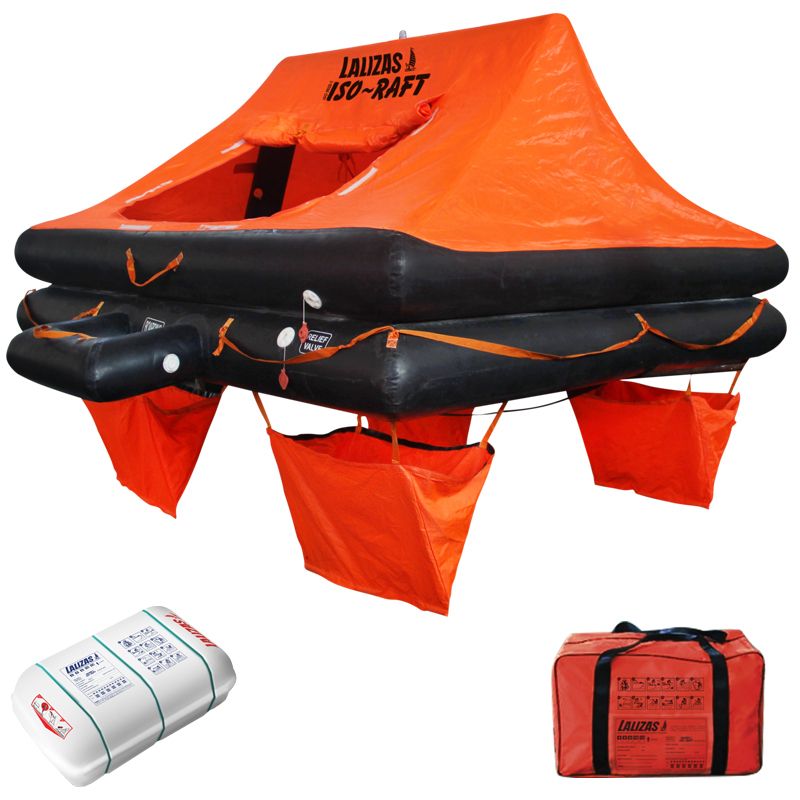 Lalizas ISO liferafts are available in 4 to 12 person versions, are fitted with a single floor as standard and are designed to be extremely safe. The ISO liferaft combines, compact size and structural integrity with proven liferaft design. The Lalizas ISO liferaft is automatically inflated by a 12-meter painter line and its inflation system provides enough gas to inflate all the buoyancy chambers. The main body of the liferaft consists of two buoyant chambers inflated through a non return valve ensuring the flotation of the liferaft. Each chamber is capable of fully supporting the liferaft with its maximum number of occupants. The ISO liferaft is manufactured and tested according to ISO 9650-1 standard for safety, and offers highly visible, stable, sheltered conditions for the occupants. It can be packed either in a canister or in a waterproof valise. The Lalizas ISO liferaft inflatable liferaft series is initially certified by Polish Register of Shipping-1463 and furthermore approved by the Maritime Authority of the Country of Destination in case it is needed. SOLAS B upgrade packs available on request.